Let us sell your property in Germany for you! If you or your family own property in Germany that you think you might want to sell, we – two American partners with decades of experience in German real estate – can do that for you, correctly take care of formalities and make sure that you receive top €. Now is an especially good time to sell real estate here and take advantage of the strong euro. We and our professional contacts need residential and commercial properties of all types, including potential building sites, to satisfy the hungry market. 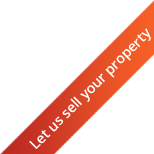 Let us discuss – without any obligation – how we can go about selling your property. We could begin by, for instance, informally assessing it to give you an idea of how much it might be sold for today. Or, I would be glad to get in touch with you.